A pistol that hits like a shotgun and doubles as a pogo stick sounds ridiculous. But alas, here we are, with a pistol that claps like the pump and acts like a bouncer. 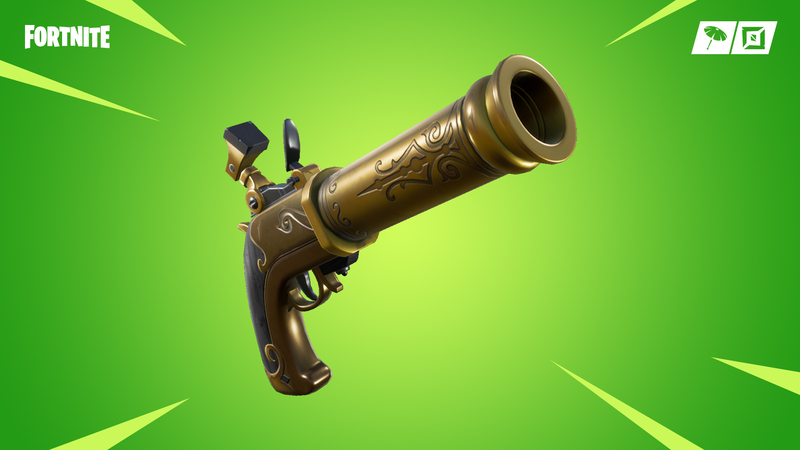 The Flintlock Pistol is the newest weapon in the Fortnite weapons roster, and it’s a fun one, to say the least. We’re going to go over some cookie-cutter ways to use the Flintlock Pistol, as well as some more obscure ways that you may not know about. The most obvious way to use the Flintlock Pistol, and one of the funnest ways, is as a pseudo-bouncer. Shooting the ground will launch you about two tiles into the air and can even be used as a way to break your fall. Being able to launch yourself into the air on command makes your buildfight play options limitless. The less obvious way, on the other hand, is to use the Flintlock Pistol as a one-bullet hand cannon. It deals 138 damage to buildings, so that’s more than enough to blast a fresh wall of any material. Be careful though, you need to crouch to negate the knockback. The last way is more of a last-ditch effort tip. You can shoot your shotgun, switch to your Flintlock for a shot, and then back to your shotgun for three deadly hits in a row. This isn’t how you’re going to get the most bang out of the Flintlock Pistol, but it might be your only option in a pinch. Let us know in the comments below what you think about Fortnite’s newest pirate weapon.